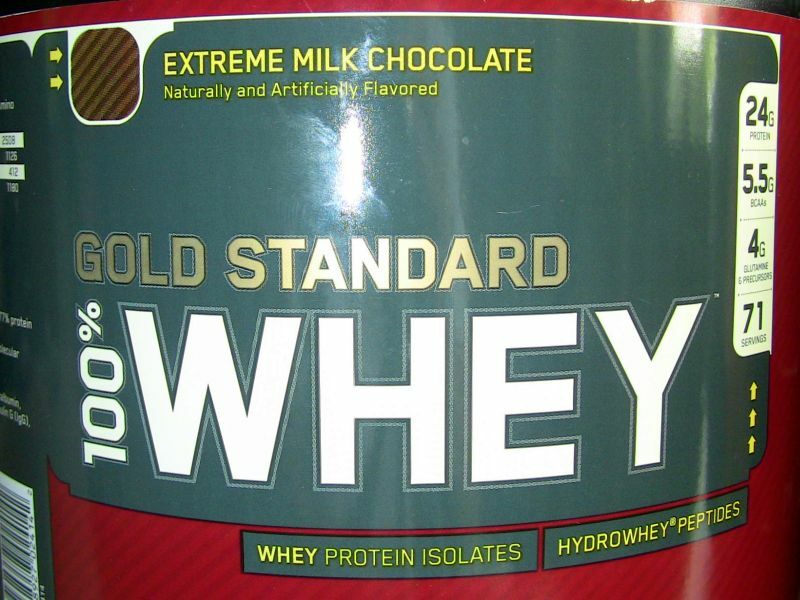 Did Optimum Nutrition Change The Gold Standard? 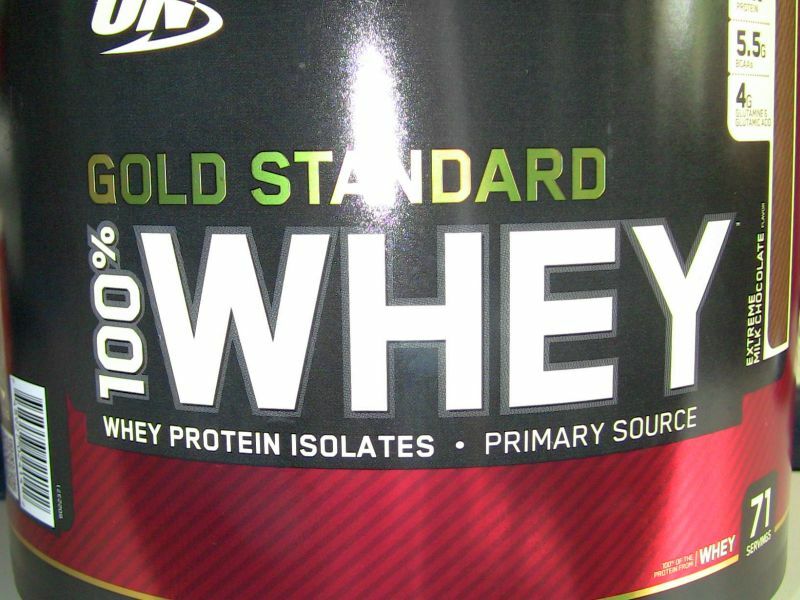 Have you been using Optimum Nutrition’s Gold Standard 100% Whey protein powder for years? Did you notice they recently sneaked in a little change? It’s no big secret that practically the only supplement I occasionally use is ON’s whey protein powder. Of all I tried it is the only one whose taste doesn’t make me want to gag and at least the milk chocolate flavor version dissolves without even needing to use a shaker. Over the years the look of these behemoth tubs has become familiar enough to me that I don’t pay much attention when unpacking a new one: black and large enough to hint at a possible intended reuse as a small washing-machine. 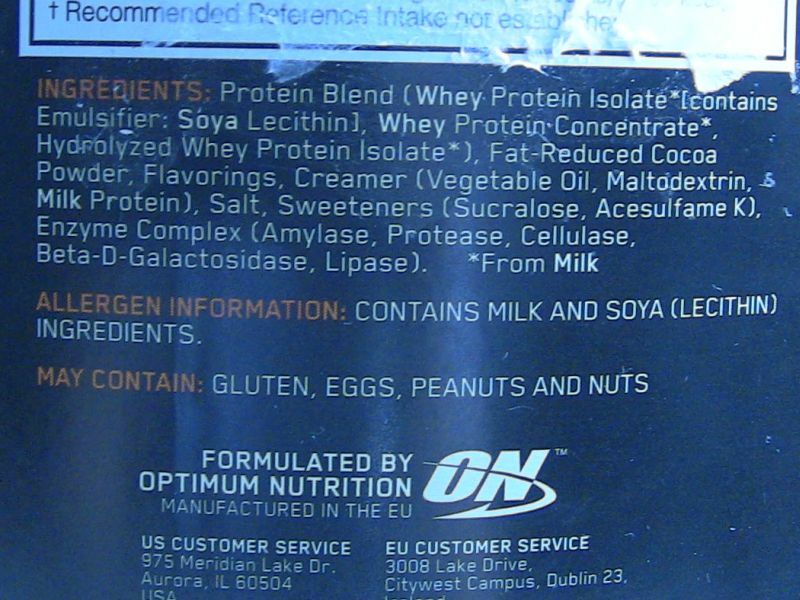 The old tub of Optimum Nutrition whey from last year. The new one, bought a couple of days ago. Peptides, in case you wonder, are proteins already broken into pieces, and therefore theoretically digested faster by your body. The kicker is: hydrolyzed whey protein isolate is the same thing as whey peptides, because, uh, hydrolyzed proteins are peptides (I explained that whole she-bang in this article about whey protein). If they really make a noticeable difference for your bodybuilding efforts is anyone’s guess. But they are comparatively expensive to manufacture and one may wonder why ON dropped the prominent mention. I notice the number of ingredients and the presence of sucralose. I prefer Kaizen, contains only stevia and or lo han guo. They even have a vegan version. I just searched for Kaizen and learned that it’s Japanese for “improvement” or “change for the better” and is a philosophy or life practice – for a moment I thought you meant you influence your protein level through meditation. Then it dawned on me to look for “Kaizen protein” (the intelligence is not strong in me today). Is this the one you use? 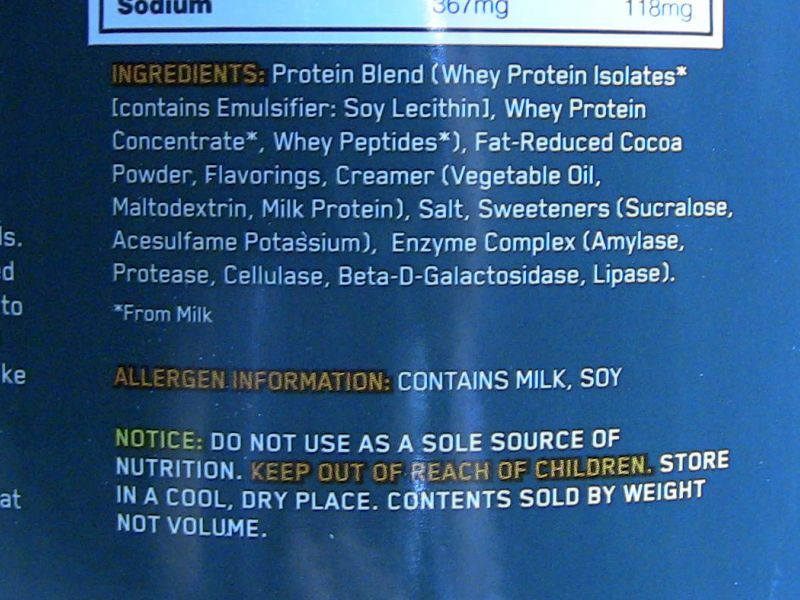 However, I looked through the ingredient list and saw it does contain sucralose and stevia. I wish I could have flavoured protein, but I can’t stand the taste of sweetners. I have tried sucralose and stevis as sweetners in tea and they always leave a bad aftertaste and are bitter to me. Yes, that is an unfortnate side effect of sweeteners. I’ve got used to it, but my girlfriend can’t even smell the ON powder, let alone drink it. Sneaky, I never notice things like that. I sure wouldn’t have noticed either, if I hadn’t had both tubs sitting side by side.